It is no longer news that the majority of the new smartphones comes bigger, however, it doesn’t stop the fact that they get drained so easily due to the powerful hardware feature they come with, otherwise, most batteries suffer rapid drainage especially when the phone is been used for heavy activities such as gaming, browsing among others. Some modern apps are also not battery friendly, hence the reason for the need of a battery case. Apple has once attempted to correct this seamless problem with the launch of the iPhone 6’s “Smart Battery Case.” The case acted as an extra layer of protection for the phone as well as a battery booster. By plugging the device’s charging cable into the case, users could charge the case’s battery and the phone’s simultaneously. The company further released a similar case for the iPhone 7, but it has not shipped any more of the cases for its flagship phones since. Whether that’s due to poor sales or merely a lack of interest on Apple’s part, we may never know. While the reasons for the pause was quite unclear, it seems the mobile company may be working on bringing back the battery cases, especially for its latest flagships, the iPhone Xs and Xs Max. The information can be backed up with a recent acquisition of a ‘product merchandise guild’ by Apple if perhaps it is found genuine. 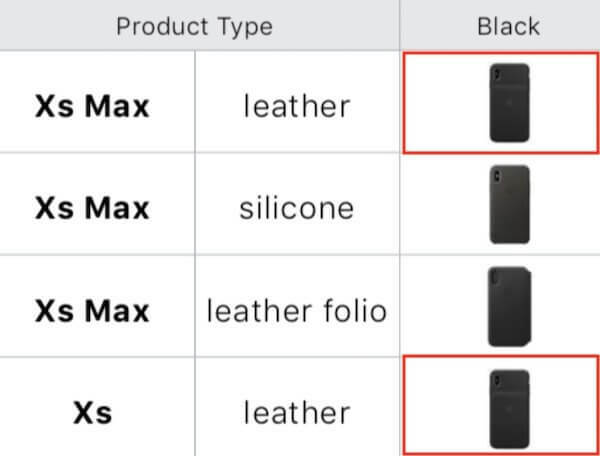 The guide, intended for the eyes of retail workers alone, reveals two cases for the iPhone Xs and Xs Max. As spotted by MacRumors, both appear to have the same battery “humps” that the iPhone 6 and 7 Smart Battery Cases did. If the guide is accurate, that means we can hope for a relaunch of Apple smart battery case any moment soon, although, there is no specific date or time mentioned yet for the release.